Looking for a new exciting fun activity for your kids? 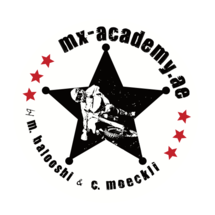 In this private motocross young rider program, kids can experience the thrills of off-road bikes in a safe, controlled and caring environment. All motocross safety equipment and bikes are ensured to meet the highest quality and safety standards. The motorcycle lessons will be carried out by certified instructors in a patient and relaxed atmosphere to make sure kids are learning at their own speed and confidence. For beginners, the 9-hour training program (3 sessions x 3 hours) includes basic riding skills, responsible riding practices, environmental awareness and sportsmanship. For advanced learners, the trainers will familiarize riders mainly with new technqiues and practice off-road riding on actual practice trails. 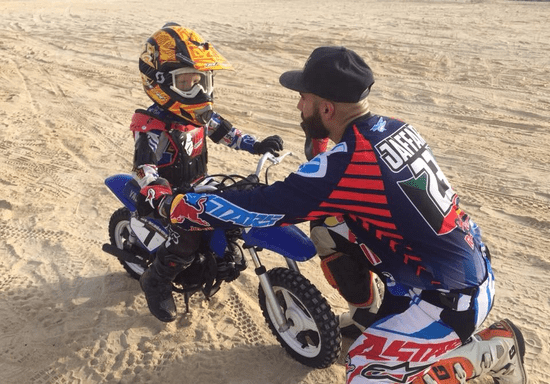 No matter if you want your kids just having one-day fun riding a Motocross bike or giving them the chance to discover their full potential, once they grab the handles, hit the throttle and tear through dirt and mud, they will love this sport! * No license or previous knowledge required!